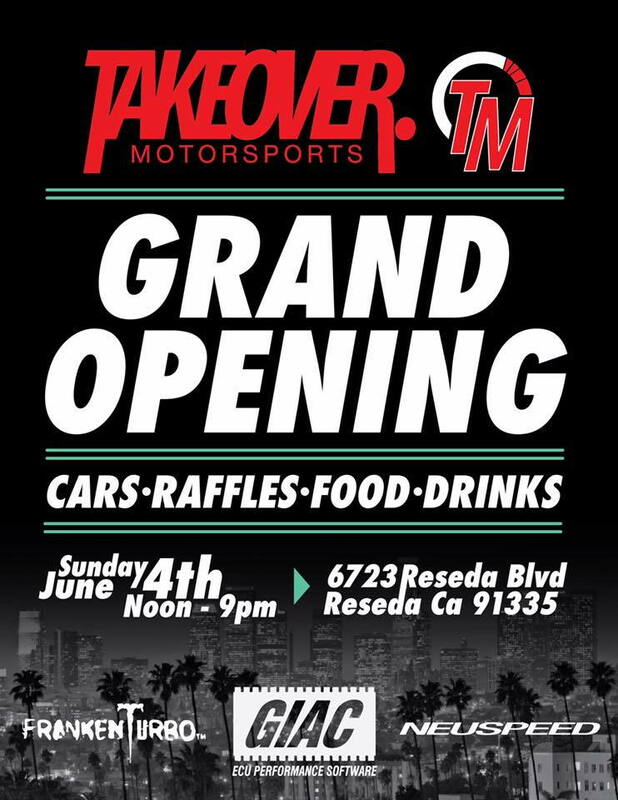 I've branched off on my own endeavor, Takeover Motorsports, with a leading master tech by my side as my partner. the valley, offering flashing onsite. We additionally offer Frankenturbo and Nuespeed products. to invite all your European car friends to get in on the fun. Raffles will include (but not limited to): drive an exotic car on the track for a day and 50% off a Giac tune.